Today, I met a delegation from the Friends of Cardigan Hospital and Cardigan Town Council on the steps of the National Assembly. 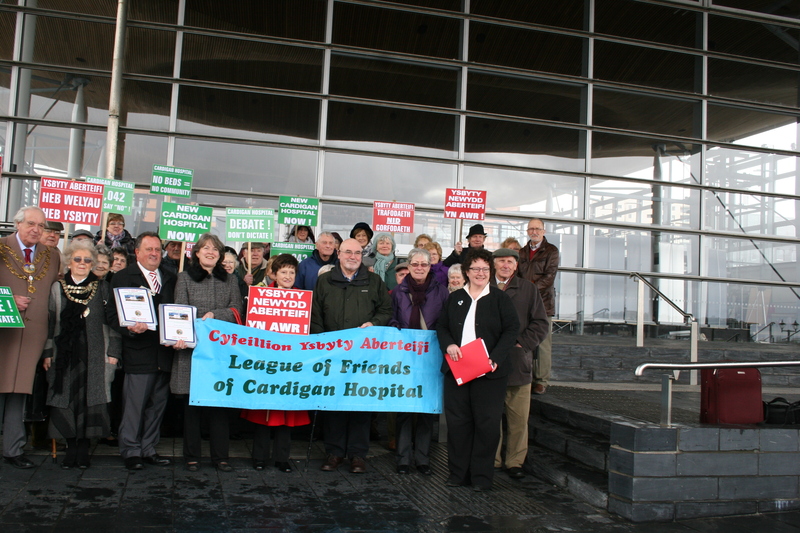 The delegation presented a petition against the closure of beds in Cardigan Hospital. The petition presented today shows very clearly the feelings of people in Cardigan. It’s astounding that over 11,000 people have signed within a month. There has been no consultation on the closure of beds in Cardigan Hospital, as national guidelines clearly demand there should be. People feel that the Health Board has let them down. There are serious questions over the service as it stands, and over the long-delayed plans for a new Hospital. We must keep the pressure on the Welsh Government and the Health Board to treat the Cardigan area fairly.